Accessorise this elegant cream dress with a colourful fascinator and high heels to create a beautiful special occasion or races outfit. 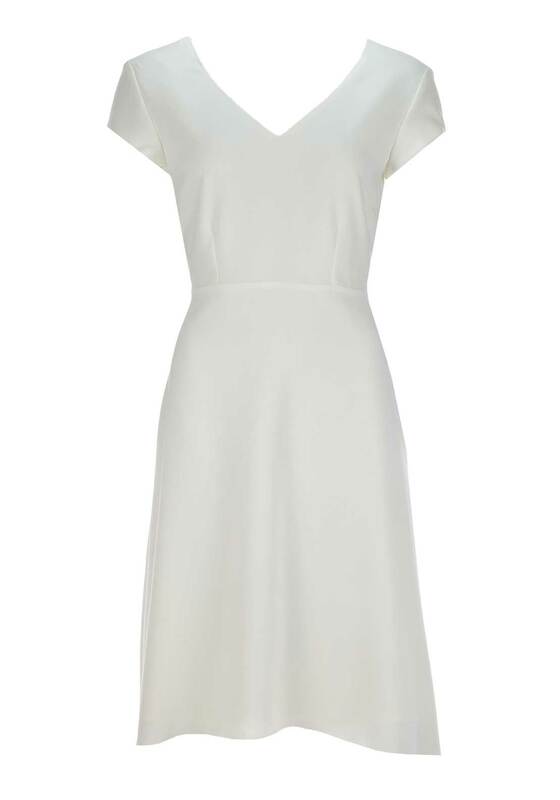 Crafted from fully lined lightweight fabric and styled by Fee G with a midi length softly flowing A-line shape and dip hem. A V-shaped neckline and cap sleeves complete the look.